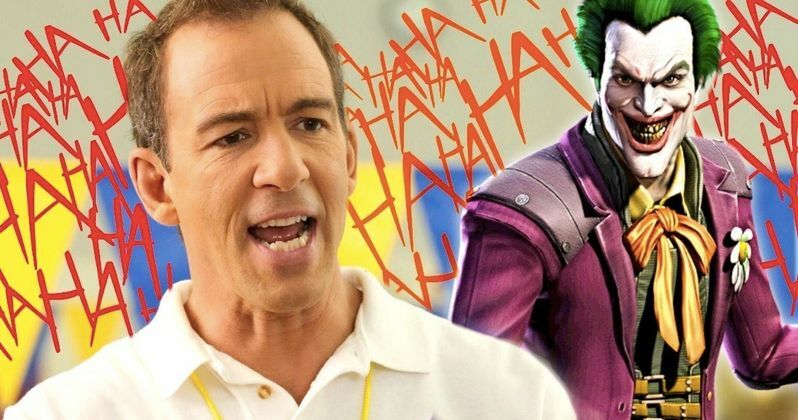 Hangover and Goldbergs actor Bryan Callen has officially joined the cast of the Joker movie. Callen says that he will be playing a stripper in the upcoming film alongside Joaquin Phoenix's Joker character. Bryan Callen is the latest actor to join the cast with the announcement yesterday that comedian and GLOW star Marc Maron has joined the cast as well. Maron will be playing the part of an agent on a television talk show and ultimately plays a part in the reason why Phoenix's character turns into the Joker. While it looks like Marc Maron will have a pretty significant part to play in the Joker movie, Bryan Callen's time on the set will be pretty short. The actor recently spoke about his role as an aging stripper, and says that he's really excited about his part in the film. Callen also said that he could not go into further details about his participation in the project. He had this to say. "I'm doing the Joker. I was offered a part. That'll be fun, but I think it's only a couple days. Play an aging dancer, stripper. I don't want to go into the details. I can't go into the details, but just know it's gonna be good. And I hope my psoriasis is flaring cause that'll be very funny. I'll be in a Speed-O, I can't wait. I have some ideas for it." Bryan Callen previously worked with Joker director Todd Phillips in the The Hangover series, where he played Eddie in the first two films. His other roles include appearing on MADtv, The Goldbergs, and Oz. Callen joins Joaquin Phoenix, Marc Maron, Zazie Beetz, Frances Conroy, and Robert De Niro, who is currently in talks to join the cast as a late night talk show host. Beetz will be playing a single mother who catches the attention of Phoenix's character before he turns into the Joker. It has been reported that the Joker movie will have a smaller budget than most DC Films projects and it will be different from other superhero movies. The movie has been rumored to be partly based off of The Killing Joke graphic novel by Alan Moore. The story revolves around a failing comedian who later turns into the Clown Prince of Crime and the movie will show exactly how one of the most beloved villains in comic book and cinematic history came to be. Further details about the Joker movie are being kept under wraps, but the project seems very interesting. Joaquin Phoenix has said that he has wanted to make a superhero movie like this for years, taking a villain and making a lower budget character study, and it appears that director Todd Phillips was on exactly the same page. You can hear more about Bryan Callen joining the cast of the Joker movie over at the The Fighter and the Kid Podcast.